These babies with Down’s Syndrome graced an adorable charity photoshoot with their cuteness! As you might already be aware, Down syndrome (DS or DNS), also known as trisomy 21, is a genetic disorder caused by the presence of all or part of a third copy of chromosome 21. It is typically associated with physical growth delays, characteristic facial features, and mild to moderate intellectual disability. The average IQ of a young adult with Down syndrome is 50, equivalent to the mental age of an 8- or 9-year-old child, but this can vary widely. 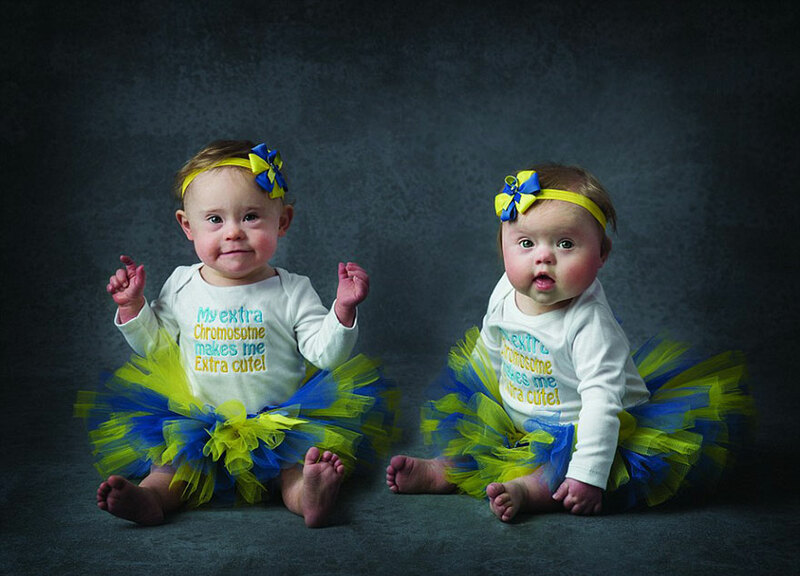 Eliza, the eight-month-old baby along with fourteen-month-old Jorja graced this adorable photoshoot for a good cause – spreading awareness about Down’s Syndrome. It also aimed to gather funds for the Down’s Syndrome Association. Midwives in Leicestershire organized it while themselves posing bare-all! What they wanted people to know is that there isn’t really anything to hide about Down’s Syndrome. To support the Down’s Syndrome Association, go ahead and buy this adorable calendar here. For further details, click these links: Down’s Syndrome Association | Miracle in Progress.